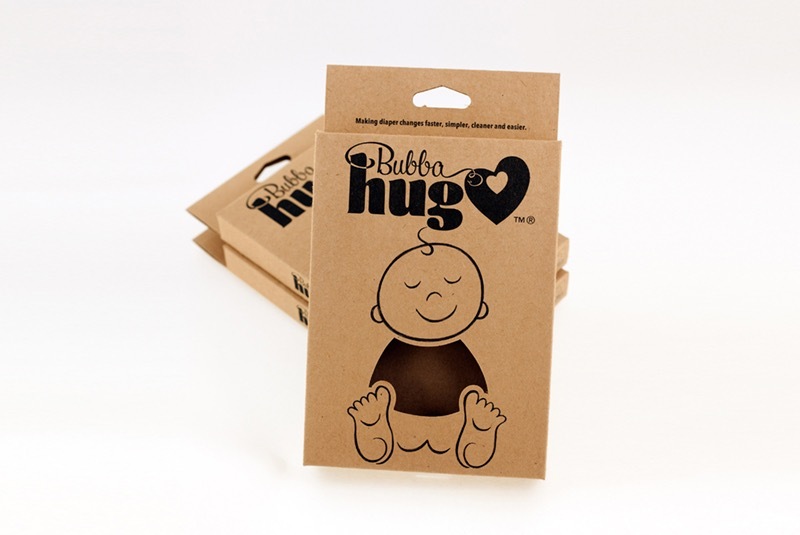 Maria and Bill have created an interesting product, Bubba Hug a baby wrap that made nappy changing simpler for parents. They commissioned Matt at Think Packaging in Auckland to design the cartons structure and designed the graphics themselves. They came to us to produce their packaging so they could get the product into the market. 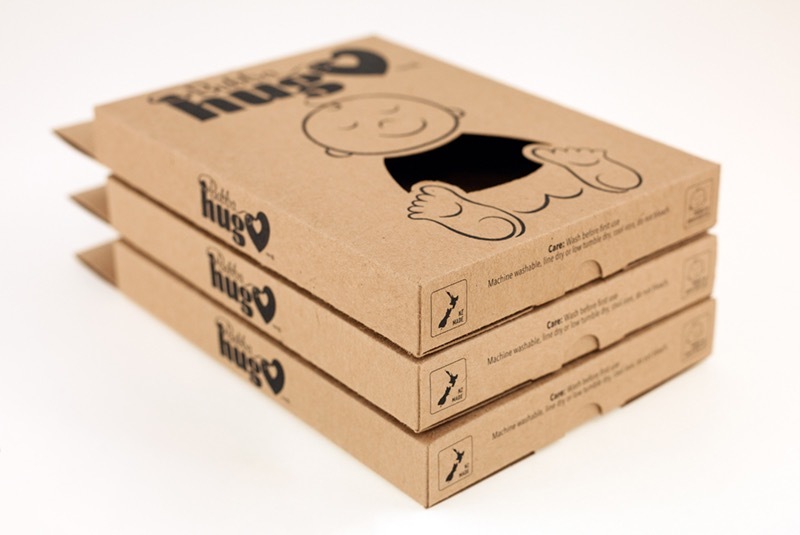 As a start up they wanted a cost effective carton that would look professional on the shelf. After a couple of meetings and a round of prototypes we printed the design in black on a course textured craft carton board. We then computer cut and creased each carton to shape and hand assembled.